Home › Current events › The 2019 parliamentary elections will be the last major opportunity for the Polish opposition. Either “what was” returns or the old world will fall. The 2019 parliamentary elections will be the last major opportunity for the Polish opposition. Either “what was” returns or the old world will fall. Ludmiła Kozłowska’s ostentatious display through the German state, in the context of an attack on the Polish government, is a clear and obvious signal. Berlin may smile, but inside it boils with irritation and anger at the ruling team in Warsaw. This irritation may only indirectly be connected with any specific actions of the Polish authorities; its underlying cause is simply the autonomous policy of Law and Justice, both domestically and internationally. In this sense, the unfriendly gesture by the German government can be seen either as a precisely planned operation, or a banal “short fuse” of a common government employee. There was an opportunity, someone could not resist. But in any case we should never stop repeating: an attempt to rebuild the strength of the Polish state, conducted – as always – in difficult and changing conditions, is not easy. This is not about simply changing the government; the stakes are much higher. We are talking about a chance that is clearly visible, which lies within our reach, but which can fall apart as well. However, the longer it lasts, the harder it is to reverse. All the major players know this well. And that is why the next parliamentary elections will be so important. This will be the last clear chance for the opposition, longing for the return of “what was”, to overthrow the ruling camp. The additional four years of Law and Justice in power would change not many things, but everything. The next term for PiS, or as it is called “good change”, would mean a permanent change in the rules of the game. They would open the door to a completely different political reality. This would permanently bury the old world and induce tectonic movements on the side of the opposition. But in reverse, the defeat of the ruling camp at this stage of reforming the state would mean that much would be nullified, while at the same time any threat to post-communist elites, or “those born to govern”, would be eliminated forever. The elections in 2015 carried the question whether change in Poland was possible. 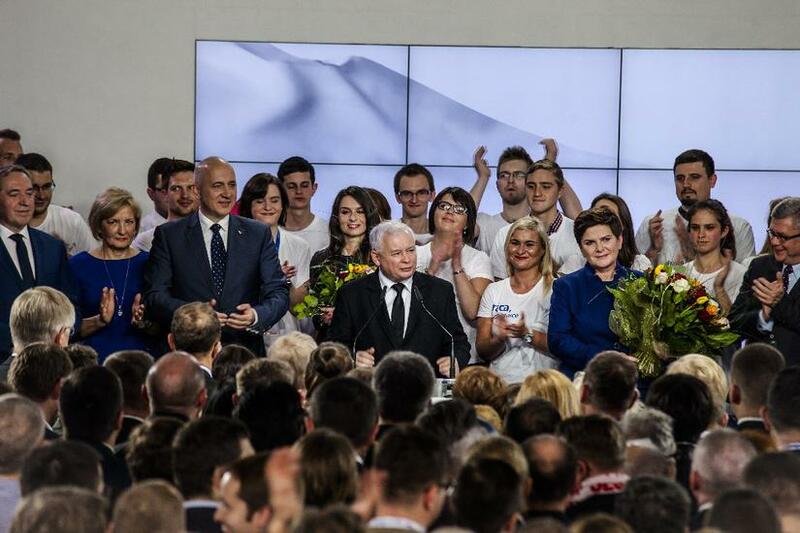 The elections of 2019 will revolve around the question of whether Poland will be permanently changed.